WHAT IS IT? Just what does the description, “smart home” mean? “Smart Home” is the term commonly used to define a residence that has appliances, lighting, heating, air conditioning, TVs, computers, entertainment audio & video systems, security, and camera systems that are capable of communicating with one another and can be controlled remotely, or by a time schedule, from any room in the home, as well as remotely from any location in the world with cellular and internet connectivity by cell phone, tablet or computer. 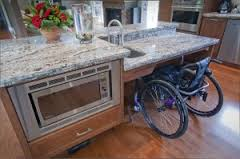 The smart home concept first came onto the scene around the mid 1980’s. At that. ANATOMY OF A SOLAR THERMAL SYSTEM Most solar water-heating systems for homes have two main parts: a solar collector and a storage tank. The most common collector is called a flat-plate collector. Mounted on the roof or on a ground rack, it consists of a thin, flat, insulated, rectangular box with a transparent cover that faces the sun. Small tubes run through the box and carry the fluid, water with an antifreeze solution, to be heated. The tubes are attached to an absorber plate, which is painted black to absorb the heat. As heat builds up in the collector, it. 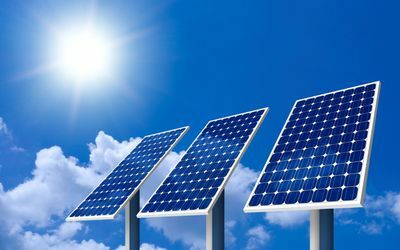 Solar Power, What’s In It For Me? SOLAR SUBSIDIES Environmental and esthetic considerations aside, does it make economic sense to install photovoltaic solar panels on your roof using the current technology? The short answer for the near term is yes, but just barely. However, solar technology is rapidly advancing, and so is the cost of electricity, so in the long term there is no doubt whatsoever that electric generating solar panels are the way to go. With today’s technology, solar panels do not make economic sense without subsidies by the government. There is a federal tax credit in the amount of 30% of the cost to install. 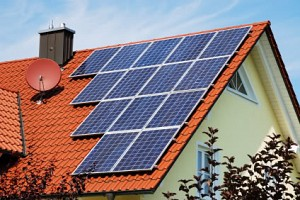 HARNESSING THE POWER OF THE SUN There is a lot of hype lately about using solar panels to generate electricity for home use. I am seeing a lot of solar panels going up on residential home roofs in the area. But does it really make economic sense to install photovoltaic solar panels? I decided take a look at the feasibility of using this solar technology. HOW DO THEY WORK I thought I would start with a laymen’s explanation about how solar panels generate electricity. 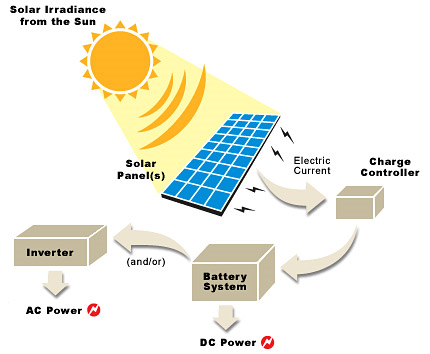 Individual solar cells are electrically connected and packaged into a frame to make a solar panel.. Many of us are now facing some difficult choices concerning our aging parents. Should they stay in their own home as long as possible? Should they move to a facility for the aged? Should they move in with us? Each of us will have our own unique conditions to consider when making this decision. If the answer to the question is, they will move in with us, I have some suggestions as to the best course of action. Ideally, your parents can have their own space separate from your family’s living area. In most cases this would be accomplished by. Water, water everywhere… Have you ever come home to find water on the floor from a plumbing leak? Well, there is a way you can stop this from turning into a major mishap. You can install sensors that are connected to water valves that will close when the sensors detect moisture. For example, suppose the washing machine hose started leaking. If you had installed a waterbug sensor behind the washer that is connected to a closable valve, when the sensor detected moisture, the valve would close and the leak would stop. In some instances, we have also installed waterbug sensors. 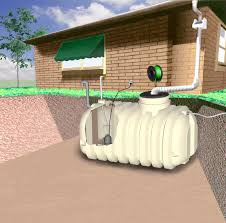 SEPTIC TANK TECHNOLOGY REVISITED My last newsletter was all about the new, high tech septic tanks that are now required by Maryland law. 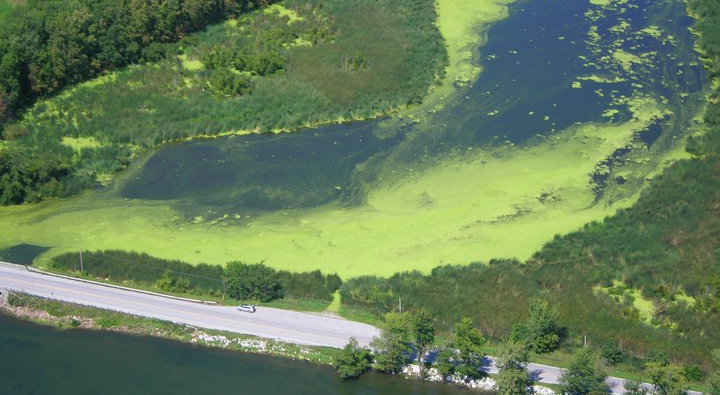 In this newsletter I will discuss the costs associated with the new tanks, and some other improvements that will help reduce the overabundance of Nitrogen pollution flowing into the Chesapeake Bay. The simplest and least expensive tank I have found is made by Norweco. This tank is comprised of three chambers. The first chamber, where the waste water first enters the tank, is called the pretreatment chamber, where the solids in the waste water settle and anaerobic.